Professor Graham Frederick Anthony Harding, DSc, PhD, BSc, Hon FRCP, FBPsS, CPsychol (1937–2018) graduated in Psychology from University College, London in 1961. He obtained a PhD in EEG and Psychiatry from Birmingham University and a DSc from the University of Aston. In 1998, he was awarded an Honorary Membership of the Royal College of Physicians for outstanding contributions to medicine. Graham established the Clinical Neurophysiology Unit at Aston University in 1963 and was head of that Unit until his retirement in 2002. His special areas of interest were the electrophysiology of vision and photosensitive epilepsy. His scientific work was key to elucidating the neurophysiological mechanisms responsible for the photoparoxysmal EEG response and stands as an example of how laboratory research can lead to societal impact through the development of UK broadcasting guidelines which, in turn, paved the way for their adoption by many other countries worldwide. He first studied Visual Evoked Potentials in photosensitive patients, but with links to the Birmingham Midland Eye Hospital, many studies followed characterising the value and application of evoked potentials to the study of visual disorders. These included the prediction of ocular surgical outcome, the study of optic atrophies, the effect of multiple sclerosis, and the application of VEP’s during orbital surgery. Latterly, seminal studies were to include flash and pattern VEP in Alzheimer’s Disease and characterizing the effects on vision of the anti-convulsant Vigabatrin. With links to the Birmingham Children’s Hospital, Graham and colleagues studied the development of vision in babies, including the development of the ERG, flash and pattern VEP. The pattern VEP was found to be present from 32 weeks post-menstrual age, and they found that colour vison was not operative in young babies until six weeks of age. These studies included Grahams own son Anthony. Perhaps Graham’s greatest legacy was that he inspired a generation of scientists. He graduated more than 40 PhD and MD students, and published more than 350 articles in the fields of electroencephalography (EEG), visual evoked potentials (VEP) and Magnetoencephalography (MEG). He was a gentle and humorous man with a sharp intellect and generous spirit. He enthused his colleagues and students with a sense of the possible. He often quoted his mentor Grey Walter, ‘Keep your band pass filters open and trust your instincts’. This advice served him, and those who benefitted from his mentorship, well. The death of Pr Jean-Claude Hache has saddened us all. In Lille, he created and developed a department of functional explorations of vision (first in France). His high skills in computing in a very early period allowed him to develop new systems of incremental analysis in visual electrophysiology. He has pursued ongoing research in the field of fundamental sciences, clinical applications and even invention of new visual exploration devices. Not only was he “passionné et passionnant”, he had an immense culture and humanism that he shared with us without counting his time; he was also a visionary. We will remember his accuracy. Nodding and smiling he showed us how to improve our practice. He was warm with everyone who desired to improve his knowledge. He chose oral transmission speaking eloquently every time he could with colleagues more than papers and was a charismatic ambassador to promote electrophysiology. He gave all his time to the patients, to his department, to the students and the colleagues in France and abroad. He created in 1976 with a team of French speaking colleagues the SILFEV (Société internationale de langue française d’exploration de la vision) that became later the SEVE. He succeeded with the help of Françoise, his so devoted and charming wife. • Even in his latest days he would still find the time to send a comforting message. With his departure, we have lost not only a charismatic mentor but also a warm friend. His presence will however remain with us all in our day to day practice and in our life as well. In 1948 the Institute of Ophthalmology was opened under the guidance of Sir Stewart Duke Elder in Judd Street in London. Formal research into the science of Ophthalmology was born in the UK and a number of bright young research scientists were gathered under this one roof but with the benefit of close communication with the surrounding clinical eye departments in London. Geoffrey Arden came to the Institute as a PhD student at this time obtaining his PhD in photochemistry and then went on to complete a medical degree. Geoffrey had an exceptionally enquiring mind and an enormous knowledge even of matters far removed from Ophthalmology. He spent some time studying under Ragnar Granit in Stockholm and KT Brown in San Francisco. After returning from the United States he returned to the Institute in London to become what was colloquially known as an “elderberry”, that is to say one of Sir Stewart Duke Elder’s prodigies. His background knowledge of electronics and his research experience in Stockholm and San Francisco no doubt concentrated his interest in the electrical changes in the eye and building on the work of Jules Francois in Belgium he developed the Electro-oculogram as a clinical test. His research facility at the institute became the first clinical electrophysiological department in the UK and he was appointed Professor and honorary consultant at Moorfields Eye Hospital. Those attending ISCEV and other international meetings will remember his pioneering work on cortical evoked potentials and the pattern ERG and during informal evening discussions at the meetings he seemed just as at home discussing the wavelets of the ERG as Proust or Pepys diary. He will be remembered for his ability to put his finger on the answer to a research problem when all around were scratching their heads. His other research interest included the clinical testing of Achromatic and Colour Contrast Sensitivity, Diabetic Retinopathy and Macular Degeneration. Geoffrey was invited to give several named lectures both in the UK and abroad He was awarded the Doyne medal at the Oxford Ophthalmological congress in 1984 and the Mackenzie Medal in 1989. Even after retiring as Professor at the University of London he kept an active interest in his research and in an emeritus capacity he continued to collaborate with research workers in the US and Europe. He was appointed an honorary fellow of the Royal College of Ophthalmologists in 2008 and in 2010 an honorary research fellow at City University London. A recent paper published in Eye in 2010 developed the theory that impending Diabetic Retinopathy might be prevented by reducing the oxygen consumption of rods when asleep and preliminary results conformed this. The reduction in oxygen consumption was achieved by the subjects wearing an illuminated mask when asleep. In 2011 he delivered the Adachi Lecture at the Quebec meeting of ISCEV which turned out to be a tour de force, achieving a higher audience approval rating than any of the previous Adachi lectures. Geoffrey was an accomplished pianist and this was his favourite relaxation after a busy day. He died after a short illness on 19th March 2018 and leaves behind his wife Sheila whom he married in 1955 and his two children. The German Ophthalmological Society (DOG) awarded the von Graefe Medal to our esteemed college, honorary member and former president Eberhart Zrenner. This award is only handed out every 10 years and the highest award by the DOG. It honours his lifelong achievements in ophthalmology and vision science. The award ceremony took place on 1 October 2016 in Berlin during the yearly DOG conference. Prof Helbig, president of the German Ophthalmological Society, called out the development of the retinal implant technology among Prof Zrenner's many achievements. In our society Prof Zrenner has been an ardent promotor for Standards, served as Secretary General and as President, and has received the Adachi Award. We are happy for him (and proud ourselves). A detailed account of his many accomplishments earning him this reward can be found at Pro Retina (in German). It is with my deepest regrets that I inform you, on behalf of her family, of Isabelle Ingster-Moati's death on Saturday, 31 January. She was a close colleague and taught me all I know about electrophysiology. As you know, she was very much involved in her clinical activities at Necker hospital for sick children and her teaching at University Paris Diderot. She held the Diplôme d'Université “Explorations de la fonction visuelle”, through which she formed a new generation of electrophysiologists in France and on the continent. She fought her disease with strength and dignity, most of her collaborators being unaware of it, and carried on working until the very end. She gave us a fantastic lesson of life and she will be regretted by all those who knew her. I know she was very attached to the ISCEV community and read CEVnet everyday. The funeral will be held on Wednesday, 4 February at 3:30 p.m., Bagneux Cemetery, close to Paris. It is with deep sadness that I inform you of the death of Isabelle Ingster-Moati, an esteemed member, a dear friend and a special woman. Isabelle passed away on Saturday January 31 after a brave fight against her illness. We remember her for her smile, her elegance, her dedication to the electrophysiology of the eye, and her passion for teaching our science to young people. Those who knew Isabelle more closely, know that she loved to sing in her work. She would say that song gave serenity to those who had to undergo to our procedures. Our condolences go to her family and her colleagues. Isabelle will be missed. Our distinguished member and founder of the eponymous Award, Prof Emiko Adachi, was awarded “The Order of the Sacred Treasure, Gold Rays with Neck Ribbon”, directly handed to her by the Japanese Emperor. We stand proud and are honoured to have her among us. Eberhart Zrenner, our member, former secratary & president and recipient of the Adachi Award, has received a “Senior Professorship” in Tübingen in April 2013. This means that he can pursue his research and patient care activities in Tübingen Forschungsinstitut für Augenheilkunde” for at least another five years. It is a particular pleasure to contact you as your new Director of Standards and to thank everyone who completed our survey of ERG practice. We received an impressive 143 responses. As one respondent mentioned, it did take more than 5 minutes to complete, especially for those who took the time to add helpful comments. The ERG survey was prepared as a co-operative effort with our outgoing Director of Standards, Michael Marmor, Ulrich Kellner and Ruth Hamilton. The data will inform the work of Prof Kellner and his ERG standards committee in preparation of the 2014 update of the ISCEV standard for full-field electroretinography. Below please find a brief synopsis of the survey results. The detailed replies are available as PDF. If you have suggestions for the update of the ERG standard, please send them to Ulrich Kellner [kellneru@mac.com]. The committee will be in touch with ISCEV members for further input when the draft update is available. 94-98% of respondents use the dark-adapted weak and standard flashes, the light-adapted single flash and the light-adapted flicker for routine clinical ERG testing. 57% (79/139) routinely record the recommended strong (10 or 30) flash ERG. Of these 79 labs, 59 use 10 cds/m², 17 labs use 30 cds/m² (includes 3 labs that routinely record both) and six labs use other strong flash levels. 3.5% record non-standard dark-adapted ERGs to a weak flash stimulus. 6.5% record non-standard dark-adapted single flash ERGs. ERGs with red and/or blue flash were mentioned in comments as additional or alternative stimuli. Respondents report a range of calibration methods and frequencies and most, 94%, calibration their systems. Both adults and children are tested 89% of labs. 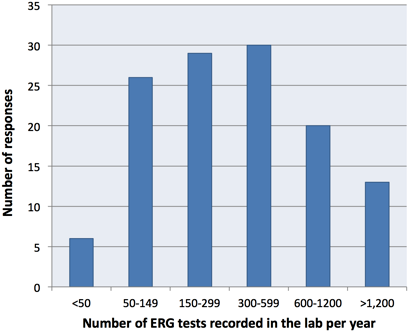 The number of ERGs per year ranges from small units to very large clinical electrophysiology facilities (see figure). We are proud to report that our former President received this→Honorary Doctorate. It is with deep sadness we announce that Professor Harold Henkes passed away on September 5 th, 2010 , not long after his wife, who died in December 2009. Harold Henkes was born in Scheveningen in 1918. He studied medicine for his MD in Utrecht , where he also had his training in ophthalmology. In 1942, he obtained a PhD, based on histological and chemical research on vitamin C.
His continued career took place at the Rotterdam Eye Hospital , where he became Medical Director in 1961. The following year, he was appointed Associate Professor of Ophthalmology and in 1967 Professor of Ophthalmology in Rotterdam , where he was working successfully until his retirement in 1982. Of his research interests, retinal electrophysiology was the most prominent one. He was one of the founding fathers of the International Society for Clinical Electroretinography (ISCERG), which was established at a meeting organized by Henkes during the International Congress of Ophthalmology in Brussels in 1958. Among others, the Board included Professor Gösta Karpe, Sweden , as President and Dr. Harold Henkes as Secretary General. Professor Henkes succeeded Professor Karpe as President of ISCERG at the Bad Nauheim Symposium in 1973, a position he held until the Budapest Symposium in 1983, when Professor Sven Erik Nilsson, Sweden , succeeded him. The same year, he was awarded an Honorary Membership of the Society. Under Professor Henkes’ precidency, at the Symposium in Ghent in 1977, the name of the Society was changed into the International Society for Clinical Electrophysiology of Vision (ISCEV) to reflect the broadened field of research of the Society members. Harold Henke’s enthusiastic leadership of ISCEV was greatly appreciated by all members. Harold Henkes was a Board member of several other Societies, such as the European Ophthalmological Society, where he was first Treasurer and then President. He was a member of Royal Dutch Academy of Science. Furthermore, he was awarded the prestigious ophthalmological von Helmholtz Price. The German Ophthalmological Society made him Honorary Member. Professor Henkes published a large number of scientific papers in international journals, not only on electroretinography but also on other ophthalmological problems, e.g. on circulatory disturbances of the retina. 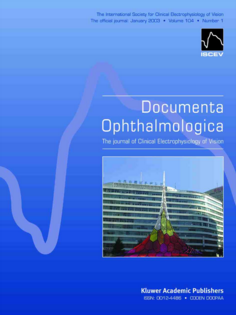 From 1970 to 1986 he was Editor-in-Chief of Documenta Ophthalmologica, which later became the official journal of ISCEV. Furthermore, he published several important books on the history of ophthalmology. 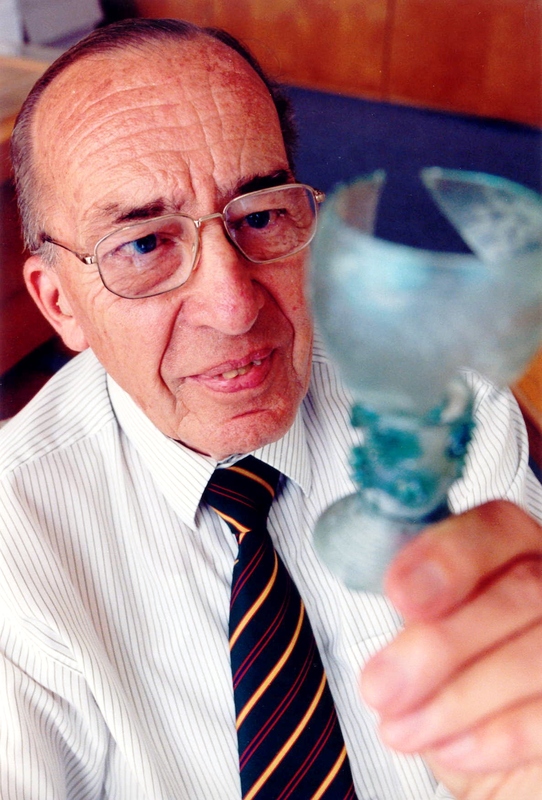 One of his important interests besides ophthalmology was glass. He created a very large private collection of antique and valuable glass, which he showed to his friends through photos attached to Christmas cards. This collection was finally donated to a museum. He also published books on glass, e.g.”Glass without gloss” in 1994, on utility glass from five centuries, 1300-1800. In addition to his scientific achievements, Harold Henkes was a wonderful person, always kind and helpful. He was my gentle mentor when I succeeded him as President of ISCEV. His great experience and knowledge were most valuable. 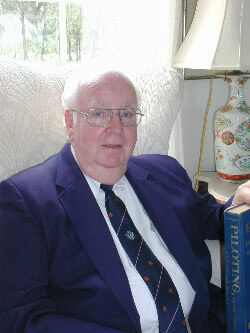 We all miss him very much and remember him as a man with a passionate interest in clinical electrophysiology of vision. I want to thank Professor Van Rij and Dr. Frans Hiddema, Rotterdam , for providing the photograph and valuable information on Professor Henkes’ career. THE XLXI ANNUAL ISCEV SYMPOSIUM will be held in Chonqing, China, proposed dates of 13-17 October, 2013. The 2010 Emiko Adachi award for long and meritorious service to ISCEV was announced at the XLVIII Symposium Banquet: Congratulations and thank you to Prof Geoffrey Arden winner of the 2010 Emiko Adachi Award for contributions to science and for years of dedicated service to our Society. We look forward to the Award Lecture next year at our Symposium in Québec, Canada. Professor Graham Holder recieved the prestigous Alcon Award at the ARVO meeting in 2010. A Scientific Selection Committee awards this prize to a small number of outstanding contributors to ophthalmic research throughout the world and honors them both in a symposium that elite members of the eye research community attend (in this case, ARVO) and with an unrestricted research grant. Congratulations to Professor Holder. I am pleased to report that Dr. Anne Fulton has been promoted to Professor of Ophthalmology at Harvard Medical School. This is a well-deserved and hard-earned recognition of Dr. Fulton's continuing contributions to research, teaching, and clinical care. In the entire history of the Longwood medical area teaching hospitals, there have only been 3 full professors of ophthalmology (Drs. Lois Smith, Elizabeth Engle, and Robert D'Amato.) Dr. Fulton's work in understanding retinal physiology in children is unparalleled in the world, and the level of clinical expertise she and her team offer her patients is equally peerless. Congratulations Dr. Fulton! For me Matt was my scientific and statistical guide, collaborator, verifier, and encourager. When I had an intuition about proposing a method or solving a problem, I would turn to him to seek either confirmation or a very gentle rebuttal, usually after an elegant and exacting interpretation of the data. Matt expressed an excitement and enthusiasm about data: to see what it had to offer, to make sense of it, and to do this with integrity and honesty. That's the way he approached everything with optimism and caring. Matt, we will miss you. Our thoughts are with his wife, Amy Lindsey and the three children. Our dear colleague and role-model, Prof William Woodson Dawson died on March 11th, 2010 after a valient fight with disease, lovingly supported by Judyth. Bill's dedication to ISCEV throughout his 39 years of membership was truly overwhelming. As a superb scientist he was always ready to support, mentor and contribute. And more: he organized two International ISCEV symposia, invented the “DTL” electrode, served on the ISCEV Board of Directors and was recognized by the Emiko Adachi Award for outstanding service and elected as an Honorary Member of ISCEV. I am proud that I could call him an admired personal friend. I will sadly miss him but also gladly will always remember him. 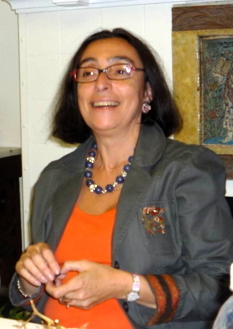 On October 4th 2009 a dear friend to all of us, Professor Angelika Shamshinova, passed away. The 2009 Emiko Adachi award for long and meritorious service to ISCEV was announced at the XLVII Symposium Banquet: Congratulations and thank you to Prof Yozo Miyake winner of the 2009 Emiko Adachi Award for contributions to science and for years of dedicated service to our Society. We look forward to the Award Lecture next year at our Symposium in Perth, Australia. The 2009 Eberhard Dodt Memorial Award for an outstanding presentation at the ISCEV Symposium by a young scientist was awarded to Dr Charlotte Polochek (Freiburg, Germany) for her presentation, “Give and take: the geneticist needs the electrophysiologist but we need the geneticist too”. In addition, the Awards panel commended Audrey-Anne Éthier, Caroline Jacques, Tobias Röck and Lucia Ziccardi for their excellent presentations. Sadly our dear friend Vaegan has passed away. He was the most colourful person of ISCEV, full of life, he was radiant and liked controversies accompanied with deep empathy and warmth. Our heart reaches out to Liz, they had just become engaged and he was a very happy man. Vaegan was a dedicated physiologist and clinical electrophysiologist. He has been with ISCEV since 1982, served on the Board, on standards committees and he organised our Sydney symposium of which I have the best memories. Vaegan, we will not forget you. 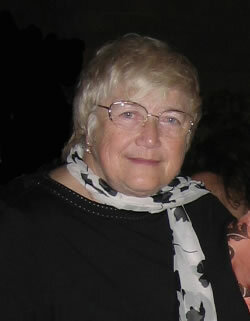 Carole Panton was honoured at the The American Association of Certified Orthoptists Meeting in conjunction with The American Academy of Ophthalmology in November 2008. In the Scobee lecture, one of three named lectures in international orthoptics, Carole described with eloquence and expertise state of the art electrophysiological testing and the unique collaboration between orthoptics, electrophysiology and ophthalmology. I am honoured to be part of a team working with Carole Panton. The 2008 Emiko Adachi award for long and meritorious service to ISCEV was announced at the XLVI Symposium Banquet: Congratulations and thank you to Congratulations to Prof Günter Niemeyer winner of the 2008 Emiko Adachi Award for contributions to science and for years of dedicated service to our Society. We look forward to the Award Lecture next year at our Symposium in Italy. The 2008 Eberhard Dodt Memorial Award for an outstanding presentation at the ISCEV Symposium by a young scientist was awarded to Dr Xunda Luo (Houston, Texas USA) for his presentation, “Retinal pathway origins of the pattern ERG (PERG)”. The Awards panel also recognised Drs Charlotte Poloschek (Freiburg, Germany) and James D Akula (Boston, USA) for highly commended presentations. He has an impressive record of service to ISCEV; he co-hosted the XXV International Symposium of ISCEV with Prof Biersdorf in Sarasota Florida, in 1987 and hosted the XLII Symposium in Puerto Rico (USA) in 2004. Prof Dawson has served on the ISCEV Board of directors as member-at-large (1995-1998) and as Vice President for the Americas (1999-2002). 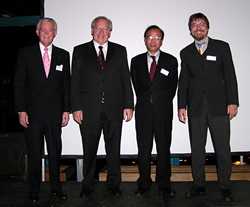 We look forward to the Emiko Adachi Award Lecture at the XLVI Symposium in Morgantown, WV, USA, July, 2008. The 2007 Eberhard Dodt Memorial Award for an outstanding presentation at ISCEV Symposium by a young scientist was awarded at the XLV Symposium in Hyderabad, India to Dr Maja Sustar (Slovenia) for her presentation, “The photopic negative response of the flash ERG to broadband and monochromatic stimuli in glaucoma and controls’. The ISCEV Awards panel and also recognised Drs Kaoru Fujinami (Japan), Timothy Lai (Hong Kong) and Bijoy Nair (India) for their highly commended presentations. The 2006 Emiko Adachi award for long and meritorious service to ISCEV was announced at the XLIV Symposium Banquet: Congratulations and thank you to Professor Eberhart Zrenner. Although Prof Zrenner has had a long and varied career in ophthalmic research, his contributions to our society are remarkable. He has served on the ISCEV Board of directors for 17 years, in three important capacities: Treasurer 1983-1986, Secretary General 1986-1991, and president 1992-1996. 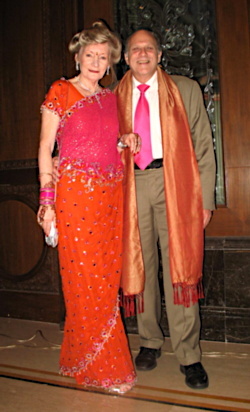 We look forward to the Emiko Adachi Award Lecture at the XLIV Symposium in Hyderabad, India, August 2007. The 2006 Eberhard Dodt Memorial Award for an outstanding presentation at ISCEV Symposium by a young scientist was awarded to Dr Daniel Barthelmes for his presentation at the XLIV Symposium in Fontevraud France, “Detecting visual field constriction in patients with retinitis pigmentosa using quantitative OCT analysis”. The adjudicators awards panel and also recognised Drs Guylene Le Muer and Naouki Tanimoto for their highly commended presentations. THE XLVII ANNUAL ISCEV SYMPOSIUM will be held in Padova, Italy, proposed dates of 5-9 July, 2009 hosted by Dr A Patrizia Tormene. Congratulations to our new officers and thank you to all of the candidates who offered to work for the benefit of our society. This year we have three ISCEV Board positions open for election or re-election. In addition, all members can nominate a candidate for the Emiko Adachi Award for outstanding service to ISCEV. For the Emiko Adachi Award simply send me the name of your nominee by e-mail (or by any other means). The final selection for this award will be by the Adachi Award committee. Nominations for the above Board positions should be sent to me by an ISCEV member as the nominator. Please mention another member to second the nomination and also confirm the consent of the person nominated that he/she will stand for election. Finally, in 2006 we will select the location for the XLVII ISCEV Symposium in 2009. We have two generous invitations: from Padova, Italy (Dr A Patrizia Tormene) and from Slovenia (Prof Marko Hawlina and Dr Jelka Brecelj). Please let me know if you are considering inviting ISCEV for a future symposium. THE XLVI ANNUAL ISCEV SYMPOSIUM will be held in Morgantown, West Virginia, USA 11-16 July, 2008 hosted by our out going Editor-in-Chief, Prof J Vernon Odom. On November 4th and 5th, 2005, a very successful symposium on the Function and Dysfunction of Vision was held in Tübingen in honour of Professor Zrenner's 60th Birthday. Many ISCEV members were among the delegates including four former and current ISCEV Presidents, three Secretaries-General and three former Treasurers. Remarkably, in Prof Zrenner's busy career, he has held all of the above ISCEV Board positions! Our four presidents (Prof SE Nilson, Prof E Zrenner, Prof Y Miyake and Prof M Bach) are shown in this unique picture which was taken by Prof C Barber. The first award for long and meritorious service to ISCEV was announced at the XLIII Symposium Banquet: Congratulations and thank you to Professor Colin Barber. This is truly a fitting honour for our longest-standing Secretary-General who has done so much to shape the substance and character of ISCEV. We look forward to the first Emiko Adachi Award Lecture at the XLIV Symposium in Fontevraud, France, June 2006. In this 10th year, Mrs. Elke Dodt, supporter and widow of Prof. Dodt, was in attendance to present the 2005 Eberhard Dodt Award to an outstanding young scientist at the ISCEV Symposium. Dr Ruth Hamilton of Glasgow who presented her paper based on her recently completed PhD research “The electroretinogram in preterm infants”. On the strength of the scientific presentations, the Awards Panel selected two highly commendedyoung scientists, Dr. Gil Ben-Shlomo for his presentation, “COP-1 treatment preserves inner retinal function, evidenced by pattern electroretinography, in the rat ocular hypertension model” and Dr. Pedro Gonzalez, for his presentation “The assessment of neuro-retinal toxicity in patients with epilepsy on Vigabtrin”. Congratulations, to our honoured young scientists. Congratulations to our returning ISCEV Board Officers ! After his retirement as Professor of Ophthalmology at Nagoya University, former ISCEV president Yozo Miyake was promoted to the Director of National Institute of Sensory Organs in Japan this year. Prof. Myiake's great contributions to our society for more than twenty years are well known to ISCEV members. A major success resulting from ingenious use of the focal ERG has lead to a number of relevant insights into retinal diseases. We are very proud of his promotion to the highest position in Japanese Ophthalmologic Society, and express our sincerest congratulations. Elections for the following positions are due in 2005. Preliminary elections took place at the membership meeting on 27 August during the LXIII ISCEV Symposium in Glasgow. (Postal vote for final selections will follow). To nominate someone, write to the Secretary-General specifying the Board Position, the name of the proposed candidate, the name of a seconder for the nomination and the signed consent of the candidate. Candidates letters may be sent separately. They should state that they are willing to stand for the position and, if elected, they are willing to fulfil the duties of the office. The award, in the value of $3000, is provided through a generous endowment from Emiko Adachi upon retirement from her position as Professor and Chair of the Department of Ophthalmology at Chiba University, Japan. Hers was a long and glorious career with many honours, culminating in official recognition from the Japanese government. Despite all of this, she remained extraordinarily proud of her long membership of ISCEV, and her outstanding record of sevice to our society. The award is given annually to someone who, to some degree, has matched this record of service to ISCEV. Nomination deadline is extended to Friday 6th May , 2005. Full details of the nomination process is available here as a pdf document. The winner of the 2004 Dodt Award was Dr Chi Luu. Professor Eberhart Zrenner , President of the Society for the Advancement of Neuro-ophthalmological Sciences, which administers the award on behalf of ISCEV presented the prize. Dr Luu presented a most interesting poster describing a study which has contributed to the understanding of myopia on the one hand and the action of myopia on the electroretinogram on the other. The full text of Professer Zrenner's speech will be in the Newsletter. Unfortunately Frau Dodt was not able to be present at the award ceremony, but she sent a letter via Prof Zrenner which is reproduced in ISCEV News Extra. Congratulations to Dr Chi Luu. Prof. Emiko Adachi-Usami received the “Medal with Purple Ribbon” from the Japanese goverment. She received this award on account of her tremendous contributions to Retinitis Pigmentosa Society as well as her electrophysiological works in ophthalmology. Our warmest felicitations, Dr. Adachi-Usami! The Royal Society, the UK national academy of science, has elected our colleague John Robson as Fellow. John Robson has contributed with many sophisticated investigations to our society. He is also a most knowledgeable co-author of the new calibration guidelines which will appear shortly in Documenta Ophthalmologica (2003, volume 107, issue 1). We are proud to have him as ISCEV member and feel that this is prestigious award is well deserved. On Saturday, 22 November 2002, Eberhart Zrenner was awarded the “Bundesverdienstkreuz am Bande”, the “Order of Merit” of the Federal Republic of Germany. He was honoured for his long-standing commitment to research in the field of Retinal Degenerations and for his efforts as chairman of Pro Retina’s scientific committee on behalf of the patient self-help organization “Pro Retina Deutschland”. The medal was conferred by Regierungspräsident Hubert Wicker in lieu of President Johannes Rau during a festive ceremony commemorating the 25th anniversary of the founding of the German Retinitis Pigmentosa Association. Eberhart Zrenner has been an active member of ISCEV for many years and successfully served as president. We are very proud of him! Starting January 2003, our journal will have a new format, a new cover (see picture) and more pages. So the current backlog will be quickly disposed of. Now we should all make good use of our journal by submitting good work! You will recall that one of the topic of this year's ISCEV Symposium was: “The rise and fall of vision: from pediatric to geriatric electrophysiology”. Following the Symposium, the Editorial Board of Documenta Ophthalmologica (our Journal) has agreed to a special issue that would include significant papers on these topics. We would appreciate if you consider submitting a manuscript to this special issue following the detailed instructions of Documenta Ophthalmologica. The paper would then, of course, be peer-reviewed. If you have any questions regarding this matter, please contact either of us at your earliest convenience. Ruth L. Kirschstein, M.D., acting director of the National Institutes of Health (NIH), today announced the appointment of Paul A. Sieving, M.D., Ph.D., as director of the National Eye Institute (NEI). Dr. Sieving is currently the Paul R. Lichter Professor of Ophthalmic Genetics and director, Center for Retinal and Macular Degeneration, at the Department of Ophthalmology and Visual Sciences, University of Michigan Kellogg Eye Center, Ann Arbor. He will join the NEI in late spring. 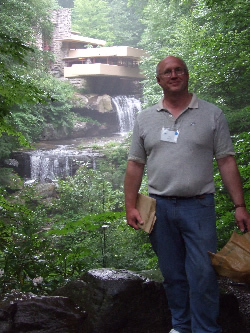 Paul has been an active member of ISCEV for many years. We are very proud of him and wish him a happy & successful office there. Our intention is to provide an e-mail forum for informal discussions of interesting or perplexing cases, technical issues, economics, and any other matters of interest to the membership. Many of our members are already in the habit of sending an occasional e-mail query to knowledgeable colleagues; the list-sever should greatly facilitate these exchanges, and broaden the international pool of expertise on which we all may call. CEVnet participants may unsubscribe at any time by sending an e-note to Scott Brodie, the list moderator, at Scott.Brodie@mssm.edu requesting that your e-mail address be removed from the list. If you change your mind, just use the same address to request that you be re-instated. CEVnet is "closed" list -- messages are accepted only from the e-mail addresses on the server's master list. If you change your email address, please let me know by personal email to Scott.Brodie@mssm.edu. There is no objection to a user maintaining more than one active e-mail address, but in that case, all messages will be sent to all active addresses. In order to post a message to the list, simply send it by e-mail to CEVnet@mssm.edu. Your message will promptly be relayed to everyone on the discussion group mailing list. Participation in CEVnet is restricted to CEVnet members. New members of ISCEV are automatically enrolled. Requests to participate in CEVnet from non-members of ISCEV will be considered and good-faith requests will be honored. Of course, non-members of ISCEV are encouraged to join! All posted messages must be signed by their author(s) – no anonymous posts. All patient discussions are to be considered purely hypothetical, for illustrative purposes only. Clinical summaries should contain no information which identifies the patient under discussion. No doctor-patient relationship is to be implied by or inferred from participation in on-line discussions. Discussions on the list are to be considered confidential. Messages posted on the list should not be reproduced or forwarded elsewhere without the consent of the author of the message. Waveforms and images posted on the list may be used by participants for appropriate scientific or educational purposes. Please acknowledge the original author(s) in any lectures or publications. Commercial interests: authors must acknowledge any commercial interest in items which they discuss, or in any competing item. "Flames" and disparaging personal remarks will not be tolerated, and may result in deletion from the list. Participants are encouraged to post waveforms and clinical images (fundus photos, fluorescein or ICG angiograms, OCT or fundus autofluorescence images etc.) as part of their discussions or queries. We hope that, over time, the waveforms and images posted on CEVnet will constitute a library of clinical examples available to members for comparison or reference. In many cases, clinical images and depictions of waveforms can be collected into a .pdf file, which will greatly compress the image files, and allow them to be included as attachments in postings to CEVnet without violating our server’s upper limit of 300 Kb for messages. [For example, recent versions of Microsoft Word allow files to be saved in .pdf format.] If this does not suffice, or if a user is unable to create suitable .pdf files, image files can be sent to the CEVnet moderator via personal email to Scott.Brodie@mssm.edu. (My email server will accept emails up to 1.0 MB.) I will place the images on an FTP server at Mount Sinai, and return active links which the user can include in their CEVnet message, allowing fellow users to see the images without clogging their email in-boxes or exceeding the maximum message size. Ask questions. Share your unusual or perplexing cases, or even particularly illustrative examples of straightforward cases. You will be pleasantly surprised at the expertise your colleagues are willing to share. If you have something knowlegeable to add to the discussion, please contribute. Many remarks which may seem "obvious" to you may not be obvious to the rest of us. If you have nothing useful to add, do not clutter up the list with useless chatter. This self-restraint is what has led to the success of the list. Keep it informal. Have fun.